Are you looking for best places to visit in Gangtok? Gangtok is the famous hill station in India. It is the capital of the state Sikkim. Here is the information on how to reach, Gangtok places to visit, best time to visit, shopping, Gangtok attractions and season in the hill station to spend your next holidays in the company of nature. 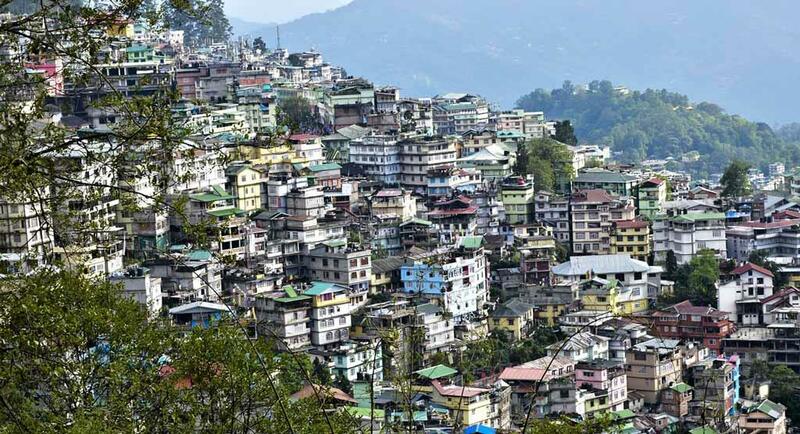 The meaning of the term Gangtok is 'The Hilltop'. The place is famous for its scenic beauty and the wonderful atmosphere. From the place, you can take a spectacular view of Kanchenjunga range. Thousands of tourists throughout the world visit Gangtok to see the picturesque mountain range and the beautiful view of Ranipul River. This beautiful place is the amazing combination of traditional as well as modern culture. Read and learn about best places to visit in Gangtok and enjoy Gangtok attractions. Gangtok is connected with many other cities in India. If you are planning to reach Gangtok by air then the nearest airport is Bagdogra (Siliguri) in the state of West Bengal. Another option to reach Gangtok is a railway. The nearest railway stations to reach your destinations are Siliguri and New Jalpaiguri. This beautiful hill station is also connected by roads to cities like Darjeeling, Kalimpong, Siliguri and few more important centers of Sikkim. Deer park is one of the best places to visit in Gangtok.The place is situated near the new Secretariat. This beautiful park was launched in the late fifties. 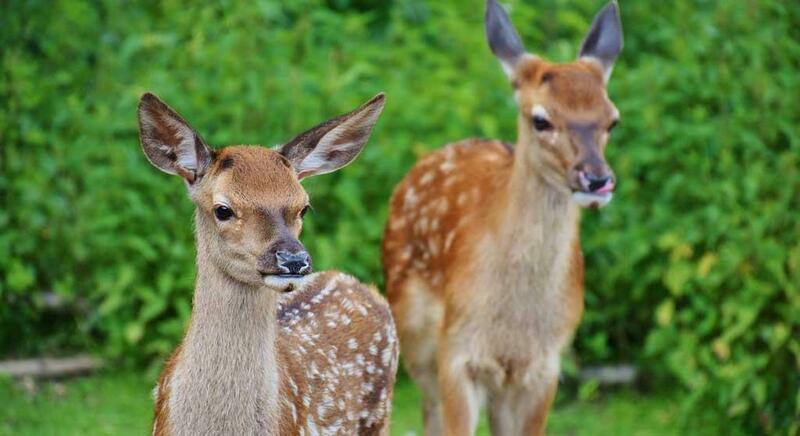 The name of the park is suitable for it, as this park is the home of different spices of deer. Some other animals like Red Panda and Himalayan Bear are also located here. The big effigy if Lord Buddha situated inside the park is the major attraction of the park. This statue is the facsimile of the Lord Buddha statue in Sarnath. Dul Dul Chorten or Dro dul Chorten is a famous stupa and best places to visit in Gangtok. The stupa situated on a hillock, near the Research Institute of Tibetology. The stupa is famous for its golden top dome and this beautiful golden dome can be seen from many places in Gangtok. Earlier it was believed that this place was haunted by evil spieits and many people died because of it. In 1946 a much respected Lama of Tibet Trulshig Rinpoche built the stupa to shoo away the spirits. The deities like Dorjee Phurpa or Vajra Kilaya are enshrined on this stupa. This stupa has the great importance in entire Sikkim. This industry is also known as the Directorates of Handicrafts and Handlooms. The industry was settled in 1957 to conserve and protect the traditional art and crafts of the state of Sikkim. You can visit this industry and select from the wide variety of Handloom carpets, furniture, beautifully carved foldable tables, dolls, hand painted masquerades and lamp stands. The tourists get overwhelmed while purchasing these superb items from this place. Lachung is a town and a beautiful hill station in Sikkim near the border of Tibet and one of the best places to visit in Gangtok. The meaning of the term Lachung is a Small Pass. This place is at the distance of 125km from Gangtok. Lachung is considered as the most picturesque village in Sikkim and people from all around the world visit here to enjoy the scenic beauty. In the winter season, the Lachung town gets covered with snow. The place is famous for trekking and skiing purpose. This national park was established in the year 1977. This national park is one of the best places to visit in Gangtok. Earlier the area of the park as 850 sq km but later in 1997 it was extended to 1784 sq. km. The Western boundary of the park shares the boundary with Nepal and China. The park is famous for the 18 glaciers including the amazing Zemu Glacier which is 300 m. wide and 26 km long. There are 17 lakes and 19 mountains and peaks in the park. The major attraction among it is Kangchendzonga Mountain itself. Other mountains and peaks like Mt. Narsing, Mt. Padim and Kabru, The Nepal peak and the Tent peak can be seen in this park. Another best places to visit in Gangtok is Changu LakeChangu Lake is situated at the distance of 40 km from Gangtok. The meaning of the term Changu is the Source of the Lake. This lake comes in the restricted area and you need to have inner line permit to visit this place. The foreign tourists are not allowed at this place without a special permit. The shape of the lake is oval and it is nearly 15 m. deep. The lake has the religious importance in the local people. The rare brahminy ducks can be seen in this lake. The pleasant and silent atmosphere near the lake attracts the tourists towards it. A small temple of lord Shiva is situated near the lake. As the lake stay frozen during the winter, it is advisable to visit the place during the months of May to August. A variety of flowers can be seen during this time. The climate of Gangtok is pleasant throughout the year. During the summer season, the temperature of the destination is too cold that is from 13 to 21 degree Celsius and during winter it drops down to the freezing point. To enjoy the place and the adventurous activities it is advisable to visit Gangtok during the summer season from April to Mid June or from September to November. Gangtok is the best option to do lots of shopping. The places like Lal Market, old market, new market and the MG Marg are the best areas to do shopping. Apart from these many small shops are available with varieties of genuine items to select from. Visitors prefer to buy masks, footwear, beautiful carpets and handicraft items and a huge variety of jewelry in the town. The MG mart is famous to get all these things. Traditional items like religious scrolls, collapsible wooden tables of Tibetan designs are much in demand. The Sikkim tea available in the market is famous for its rich aroma and unforgettable taste. This article is for those people who want to visit Australia for the first time. It contains the list of top five cities in Australia which I have shortlisted. This will guide you and will give you detailed information about these cities. A tourist's visit to Kerala can not complete without seeing in and around Munnar. Famous tea gardens, water falls, rare animal species and birds & bees are found here. To help in discovering the spirit of Munnar, I have complied here the best places to visit in and around Munnar. Are you willing to spend your upcoming holidays in the company of nature? If you are looking for a picturesque place in India, full of greenery, waterfalls and eye-catching scenic views then Coorg is the best place for you. Here are the details on best places to visit in Coorg Karnataka. School holidays are about to start and heat is on its tip. If you are planning to go to some beautiful place, where you can enjoy the pleasant atmosphere and magnificent location then Manali is the best option to visit. Here is the details on how to reach, best places to visit in Manali, season time etc. Well, thank you for sharing information about best places to visit in Gangtok. I am planning to make a visit to Gangtok on December last. Can you please suggest me best places to stay in Gangtok?